The Australian writer and book blogger known as Soooz has just posted an interview with me on her book review and authors site. I think Soooz asked some interesting questions. If you’re interested in some of the background on how I got to Australia and why, plus how I rebuilt my career, Soooz has covered it all. 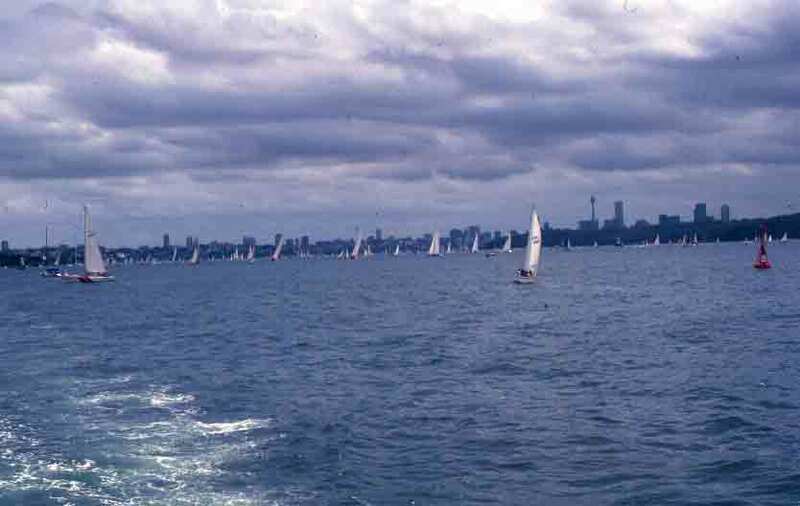 With all the glamorous shots that are generally shown of Sydney Harbour, many may not be aware that this is a working harbor, as well as a site for sunning, sailing, and admiring the view. Huge ocean liners pull in at Circular Quay to unload passengers. Massive cargo ships carry the goods of commerce, and commercial fishing boats unload their hauls in the various bays and coves that line the sprawling harbor. And the navy has a pretty solid presence there, too. Usually, the pleasure seekers are far separate from the practical side of the harbor, but not always, and I was amused to see the juxtaposition below of motor boat and military might. As noted in the previous post, the sandstone at the site chosen by the first settlers got the new colony off to a rocky start. (Pun intended.) The convicts and soldiers who made up the population at the time were not of a poetic bent, so they very practically called the area where they began to build The Rocks. That name has stayed with the area. 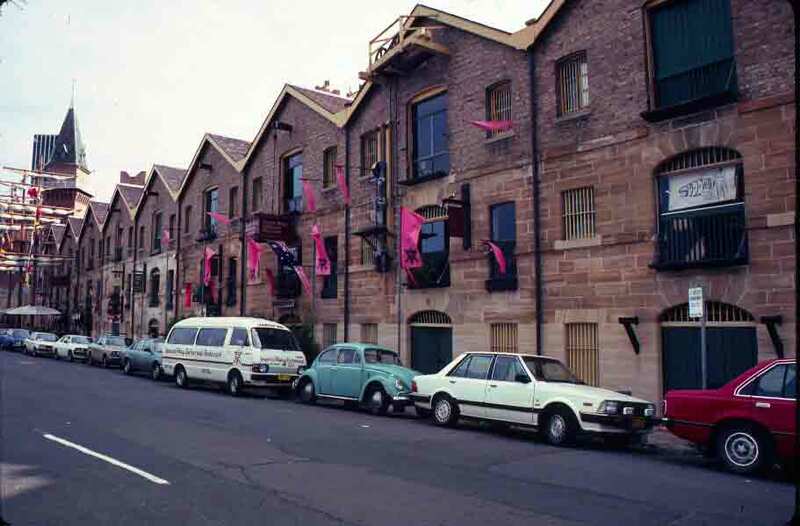 The Rocks evolved from struggling penal colony to thriving shipping port in relatively short order. Warehouses and taverns soon filled the flat area bordering the water. Today, those warehouses and taverns have been renovated and filled with galleries, restaurants, boutiques, museums, and, well, taverns (some things don’t change). 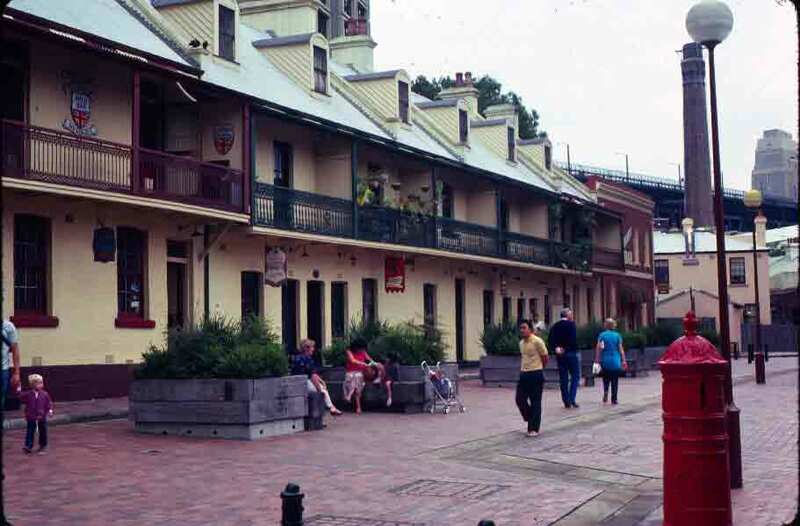 It’s the oldest part of Sydney, and a tremendously fun part. Walking tours can be had, to introduce you to the area’s often rough history. It’s a must-see part of town, perched on the water’s edge, with the Harbour Bridge as a backdrop and the Opera House directly opposite. The shops and eateries are delightful, the original buildings, many built of the local sandstone, are handsome, and the view is unbeatable. 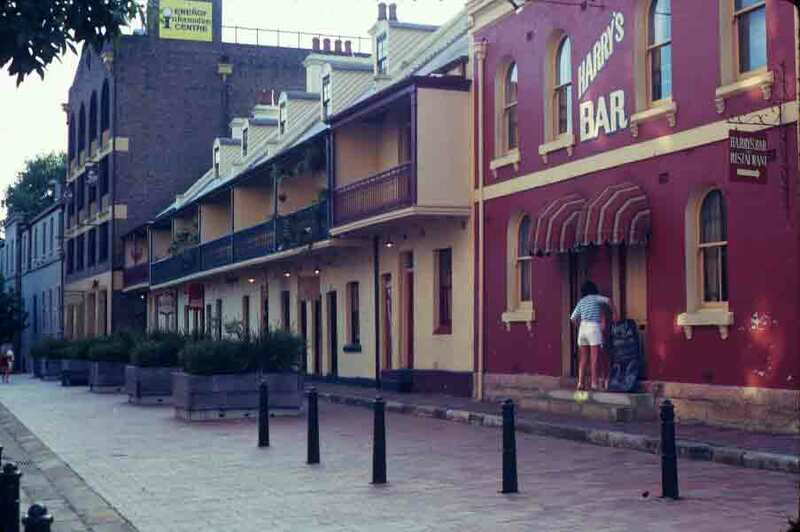 I must note with some sadness that two of my favorite places in The Rocks have closed since my first trip to Australia. The Geological and Mining Museum and the splendid shell shop named Marine Specimens are both gone now. As the area became more focused on tourism and nightlife, there was decreasing interest in the more purely educational pursuits. So if you visit, you’ll have a great time, but you won’t find these two stellar spots. You may not miss them, but I shall (because I do intend to get back again). Below are a few shots from around The Rocks. This is just a small sampling of this charming area, so plan on spending a little time exploring. Take one of the walking tours. Have at least one meal here. It’s not just attractive, it’s where Australia started. 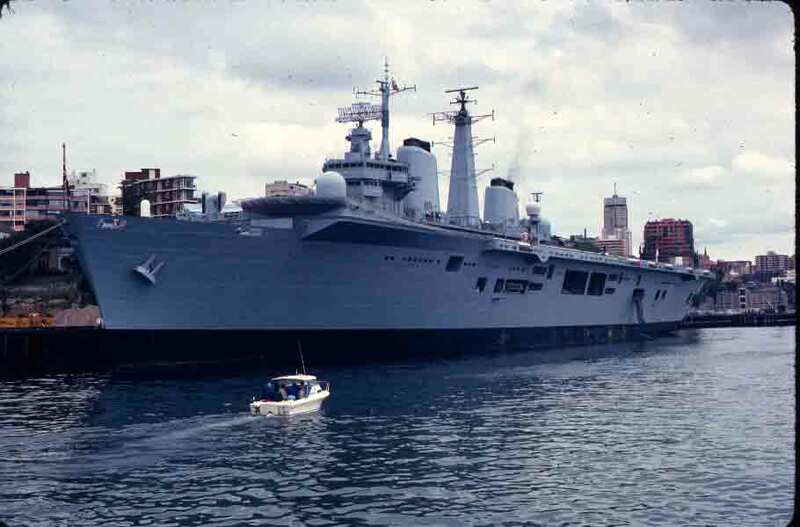 One of the things that makes Sydney solid very nearly made it impossible. When settlers first arrived in the late 1700s, they found to their dismay that the soil was very shallow on most of the available flat land, with solid sandstone underlying, and often jutting out of, the thin layer of dirt and vegetation. The colony nearly failed because of the lack of land suitable for growing crops. Survival was a struggle, and it took a bit of exploring to find places where food could be grown. Once a foothold was gained, the sandstone no longer seemed to be the enemy. It became the colony’s most popular building material, and quarries soon dotted the city. Most buildings in the city that date to the mid-1800s were built of the area’s hard sandstone. Today, it is still possible to see how daunting those first endeavors at settlement must have been. 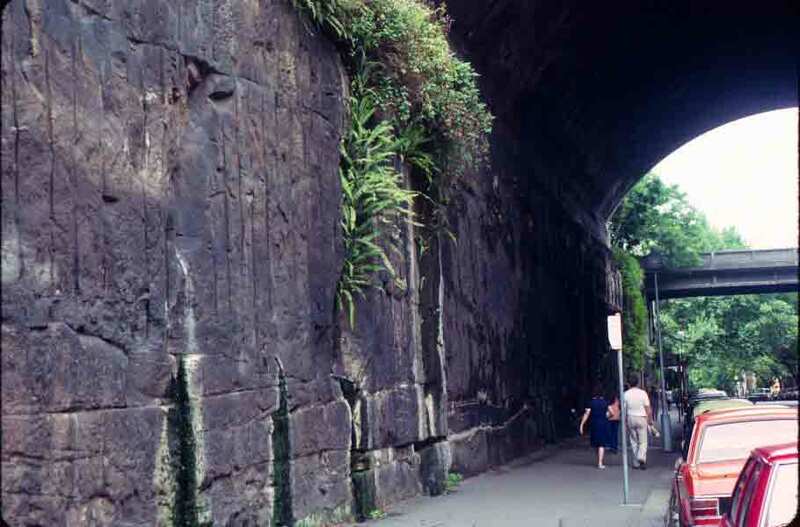 The image on the left is the Argyle Cut, a 300-foot tunnel begun in 1843, carved and then blasted through the wall of sandstone that divided Sydney. 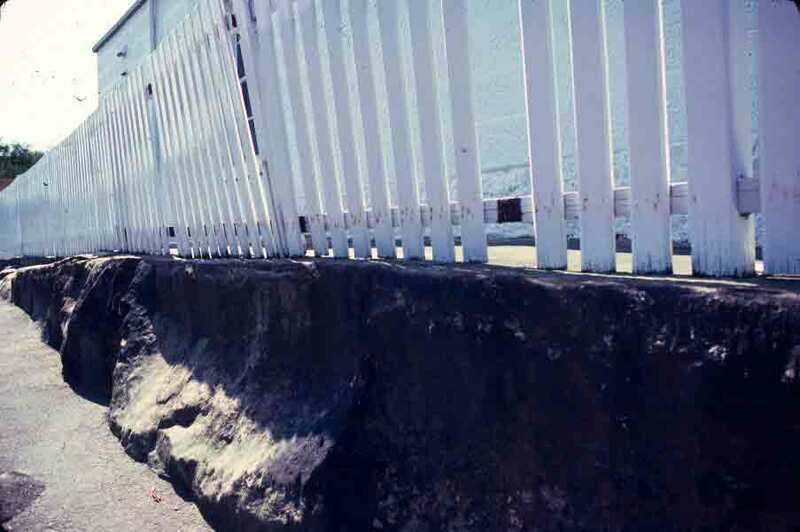 The image on the right is the picket fence around a house I passed in one of Sydney’s neighborhoods—the fence is actually bolted to the rock. So one can truly say that Sydney has a solid foundation.